The term South India demarcates a geographical region comprising of the Southern Part of the Great Indian peninsula. It comprises the states of Andhra Pradesh, Karnataka, Kerala, and Tamil Nadu. In this region our primary focus is on the southern part of The Western Ghats, which runs astride Karnataka and Kerala with a portion of Tamil Nadu in between. This range of hills rise from the West coast to an altitude of up to 2500 m . Birdlife International has recognized it as one of the most important Endemic Bird Areas in Asia. 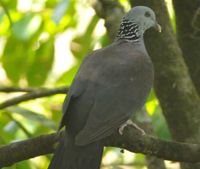 It holds 20 endemic species from India, as well as another 15 species common with Sri Lanka. Most of this region is seldom visited by birders. The habitat comprises Sea beaches, inland waterways, lakes, evergreen forests, dry deciduous forests, scrub land, and grasslands. Around 550 species can be seen .The focus of our birding tours to this area as on now is the Western Ghats birding circuit starting at the town of Bangalore in Karnataka and extending to Govindperi ( Kalakkad) spilling into Tamil Nadu on Kerala’s southern border. Through several hot spots, looking for endemic species, and South Indian specialties. We have also included several lesser known sites.. Most birding hot spots in Kerala are in the periphery of wildlife sanctuaries and national Parks. 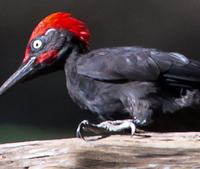 There are exciting resorts and forest lodges near these birding areas. We have taken care to formulate the itineraries taking into consideration density of bird life and comfortable accommodation and excellent tour leaders who are renowned the world over for their local birding knowledge. We have also identified less well known places which make for excellent birding destinations, notably in the Kalakkad-Mundanthurai region and Arippa near Trivandrum. Parambikulam, on the borders with Tamil Nadu.